Global patent analysis of pure electric vehicle battery management - Battery News - Sunbright Power Co., Ltd.
Abstract: This paper analyzes the global patent technology composition, patent technology application trend, main applicants and patent layout of the battery management technology of pure electric vehicles from a macro perspective. From the applicant's point of view, applicants from Japan, South Korea, and the United States are leading the technology, and the top three patent applications are all Japanese companies, reflecting the strong R\u0026D strength of Japanese companies in the field of electric vehicle battery management. Chinese companies with the highest number of applications have Chery, BYD and the State Grid. The patent distribution of major applicants is mainly in the three markets of China, Japan and the United States. Chinese applicants' patent applications are basically limited to China and rarely apply for patents abroad. As of the end of 2015, the global pure electric vehicle patent application totaled 36,386 items. 1 is a technical composition diagram of a global pure electric vehicle patent application. It can be seen from Fig. 1 that the technology related to battery management in the patented technology of the pure electric vehicle field accounts for almost half of the total, that is to say, the key core technology of the pure electric vehicle lies in the management of the battery. 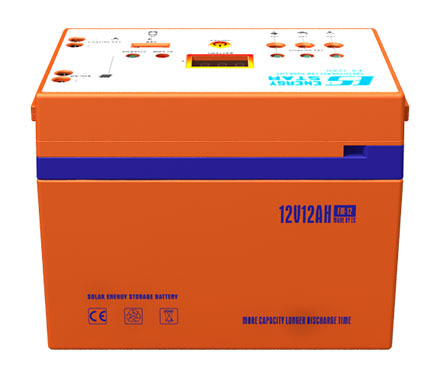 Battery management technology mainly includes battery fault diagnosis and disposal, safety management and thermal management. Safety management can be divided into active safety and passive safety. And fire fighting equipment. Figure 2 shows the trend of patent application for battery management. As can be seen from Figure 2, the trend of patent applications in each technology branch is similar, and they all enter a period of rapid growth before and after 2010, and there is no obvious first development or later development. Branch, in which active safety and battery cooling are two branches of technology that are more concentrated in application, that is, active safety and battery cooling are the research focus of battery management. The main applicants of global patent applications are analyzed. The results are shown in Figure 3. As can be seen from Figure 3, the main applicants are basically from Japan, South Korea, and the United States. The top three applicants are all Japanese companies, which reflects the strong R\u0026D strength of Japanese companies in the field of electric vehicle battery management. There are three Chinese companies with the top 15 applications, namely Chery, BYD and State Grid. The layout of the patent applicants of each major applicant is shown in Figure 4. As can be seen from Figure 4, the patent layout of each major applicant is mainly in the three markets of China, Japan and the United States. In addition to applying in the country, foreign companies also place a large number of patent applications in major foreign markets. In particular, Japanese companies have far more patents in foreign countries than in their own countries, while Chinese applicants except BYD Patent applications are basically limited to China, and there is basically no patent application abroad. BYD's patent applications abroad also account for only 27.8% of all applications. At this point, there is still a big gap with foreign companies. Competitive strategies, such as applicants with strong patent technology, actively carry out patent technology research and development, or cooperate with applicants with strong patent technology to enhance their competitiveness. Summary of the development of key technologies for electric vehicles, Li Xiufen et al., Shanghai Automotive, 2006-01. Design of battery management system for hybrid electric vehicles, Song Xuehua et al., Journal of Electronic Measurement and Instrument, 2011, 09. Research status and development trend of electric vehicle battery management system, Fu Xiaoling, Power Electronics Technology, 2011.